Need tile and grout cleaning in The Highlands? Continental Carpet Care, Inc. is King County's premier tile and grout cleaning company. We offer routine and deep cleaning service for all types of tile flooring in The Highlands, Washington. We've been in the floor cleaning business for more than 30 years, providing professional tile floor cleaning to both residential and commercial clients in Washington. 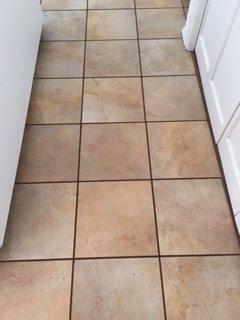 Call (425) 559-9995 for a free tile and grout cleaning quote. Professional tile & grout cleaning in The Highlands. Continental Carpet Care, Inc. has been professionally cleaning tile floors for The Highlands, WA clients since 1989. Our competent staff will determine which products will work best for your The Highlands residential or commercial tile floor. Continental Carpet Care, Inc. cleaning products and equipment provide a quality surface and deep clean that won't scratch or damage your floor. We use highly effective grout cleaning products that remove embedded dirt and bring out its original color. For superior tile and grout cleaning in King County, call (425) 559-9995 to request a free estimate. Ask about our maintenance contracts. Clean floors are a good reflection on you. From office lobbies to residential kitchens and bathrooms, our The Highlands professional tile and grout cleaners will make your floor shine. Continental Carpet Care, Inc. provides superior tile and grout cleaning in Washington. We are fully staffed with trained professionals, ready to take on your tile. Call (425) 559-9995 to schedule your The Highlands, WA residential or commercial tile cleaning service.